for Gemak to carry units of Yavuz Sultan Selim bridge. 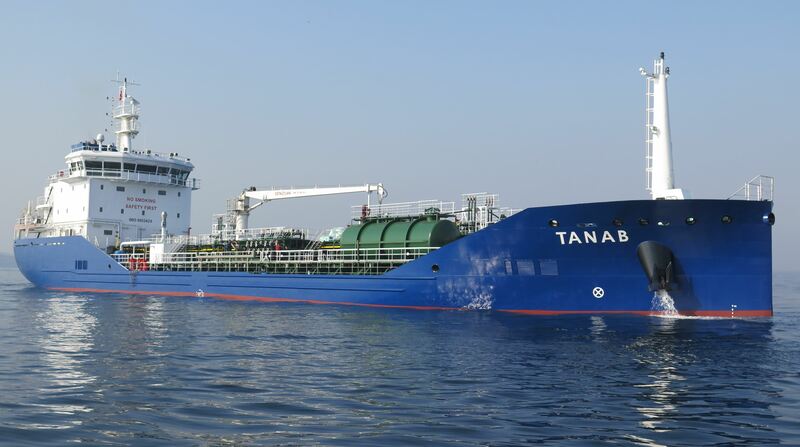 The vessel has been fitted with dynamic positioning system by 4 deck mounted thruster. The hull material is marine type aluminum alloy. 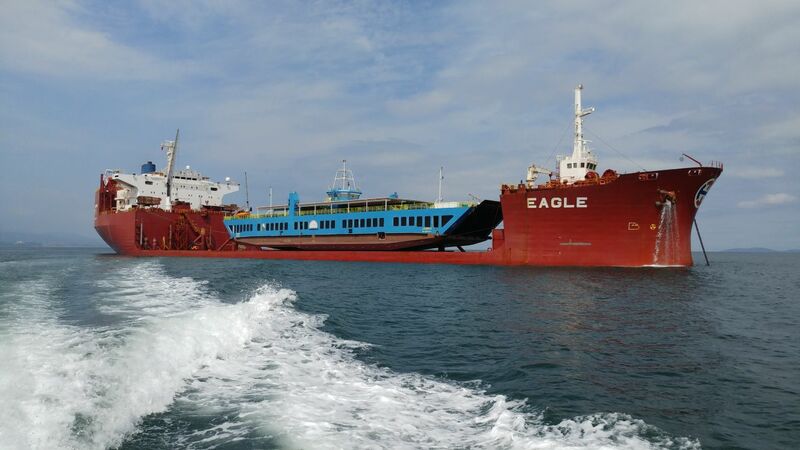 Kubilay is double ended ferry with a capacity of 71 cars and 450 passengers. 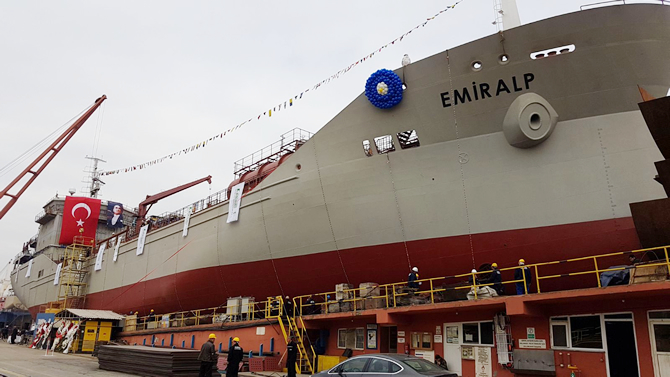 The vessel is the third of three ship sets that has been built for Izmir Municipality. and a towing hook, and has 16 tonnes bollard pull capacity. The vessel is driven by two Volvo Penta D16 main engines and 2 fixed pitch propellers in nozzle 19A. 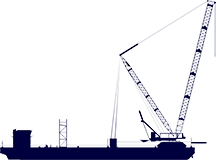 As Navis Design, we bring Innovative approach to the ship design that will optimize ship performance. 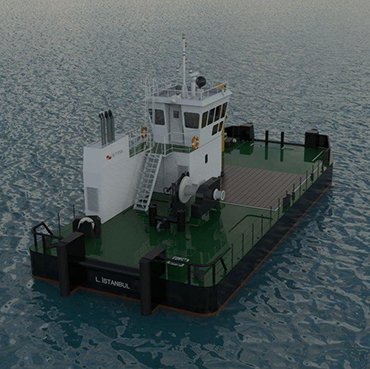 We produce design projects for different types of merchant and navy vessels such as tankers, ferries, supply boats and pilot boats. 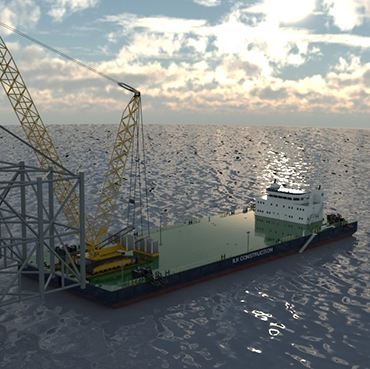 We supply supply vessels with multipurpose capabilities for serving offshore platforms. These vessles are used for supplying fuel oil, fresh water, crew and provision to the platforms. 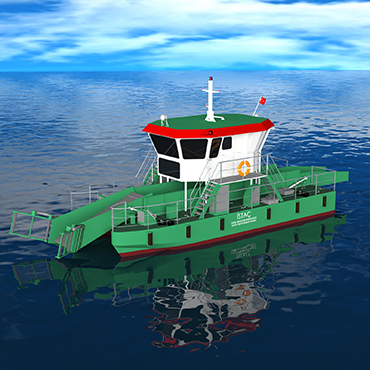 We supply double ended ferries for inland waters capable of carrying both passengers and cars. This type of vessels generally work between close distances and do not lose time for maneuvring. 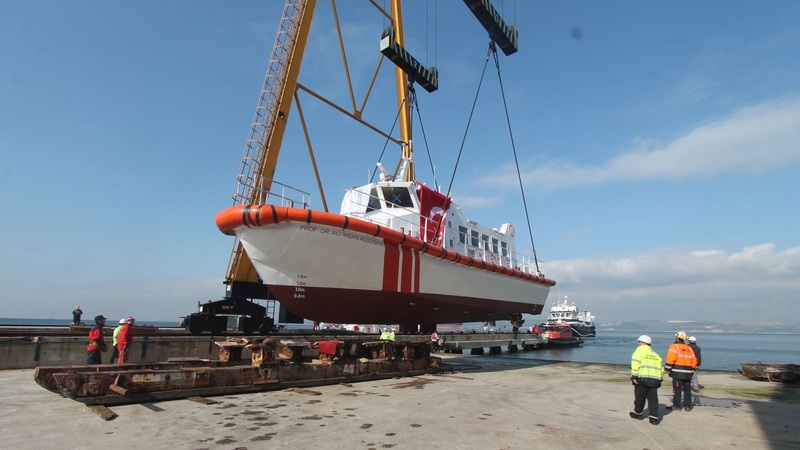 We supply different types of pilot boats, made of steel or marine grade aluminium. The designs are based on owners requirements and easily can be adapted for new designs. 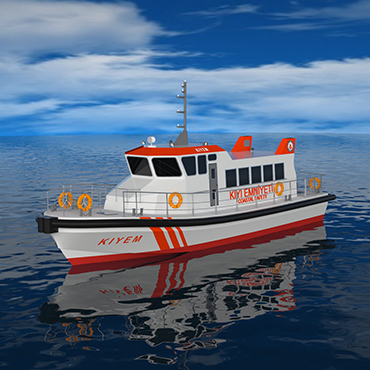 This type of vessels generally designed for the speed of minimum 20 knots. 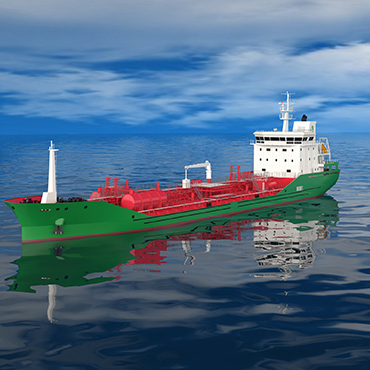 We supply designs of every type of tankers such as oil tanker, chemical tanker, stainless steel chemical tanker, lng bunker tanker etc… The designs are based on owners requirements and can be easiliy adapted for new customers. The hull forms are tested in towing basins and all have new bow forms which makes the fuel consumption very low. We supply trash skimmers for the purpose of garbage collection at harbors, marinas and harbors. Catamaran hull for optimum speed/power wheter can be built of steel or marin grade aluminum depending on the speed required. 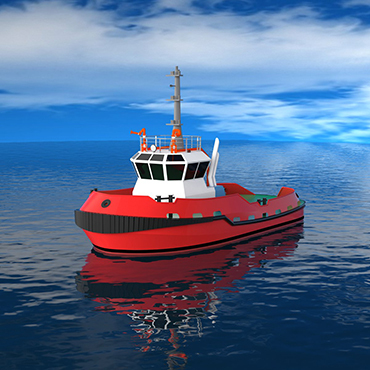 We supply different type of tugboats such as harbor, seagoing or navy. The prıopulsion system can be either conventional or ASD types. Optimum bollard pull / engine power selection is our priority. 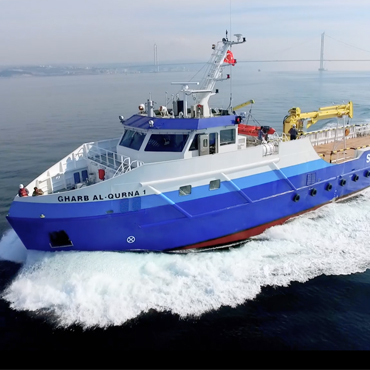 We supply different kinds of workboats for material transport, towing, pushing, anchor handling or crane operations subject to the operational requirements. M/F JAMBO has been loaded on the dockwise vessel, and now on the way to Mombasa. 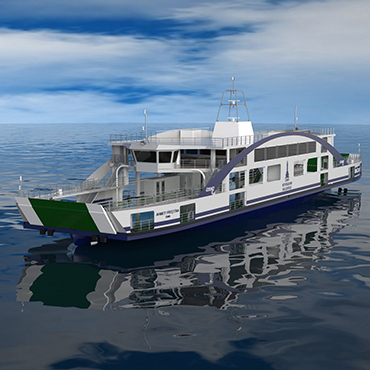 The sister vessel M/F SAFARI is still under construction and will be completed in September.